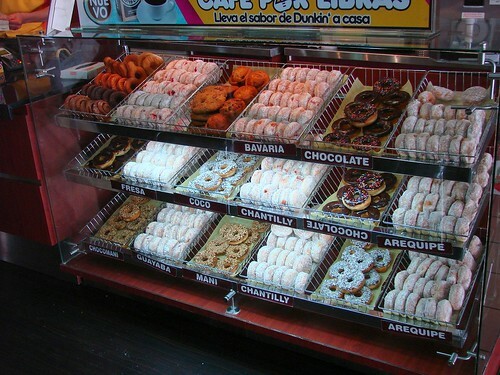 Perusing the display case amongst the typical chocolate frosted donuts and powdered sugar donuts filled with fresa (strawberry) or cream, there were donuts filled with guayaba (guava) and arequipe (a caramel spread similar to dulce de leche), and a chocolate frosted donut covered in mani (peanuts). Oh yeah! This Dunkin Donuts drive by turned into a must stop. 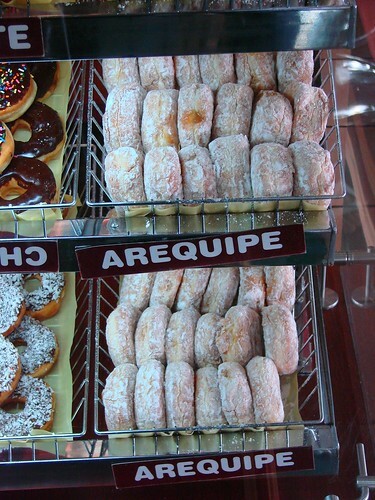 Lawman and I picked up one arequipe donut and one choco-mani donut. They were both de-freaking-licious. And I'm not sure why they don't have either of these flavors on the menu in the US. We polished off our donuts waiting for our flight to Santa Marta we noticed that many of our fellow passengers were holding Dunkin Donuts bags. 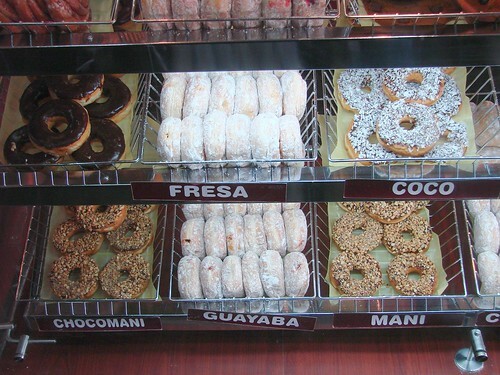 Apparently Dunkin Donuts are a very popular gift for Colombians to take home to their families in the provinces. 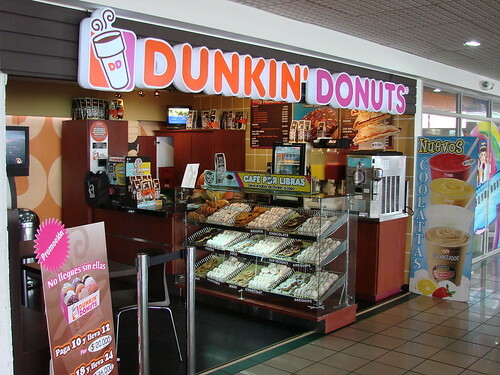 Blondie, I hope the international terminal has a Dunkin Donuts outpost so I can bring you one! 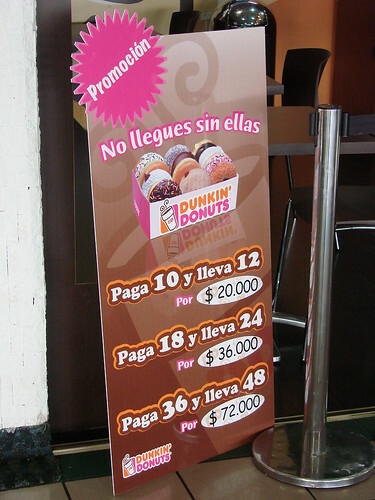 OK, I'm baffled by the fact that there is a Dunkin Donuts in Bogota but NOT in Seattle. I simply can't be delicate about it: WTF!? THAT donut looks insane and delicious. 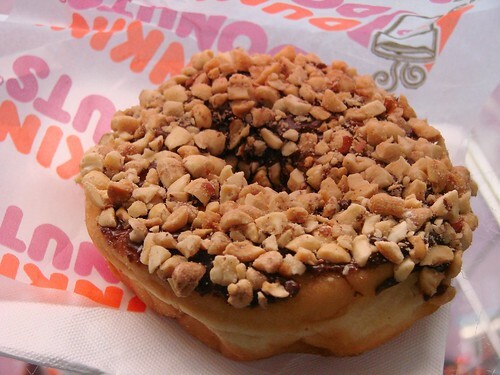 Last month I was in Abu Dhabi, where in addition to Dunkin Donuts, they also have Krispy Kreme. Alas, the offerings at both were not discernibly different from their US counterparts.